there was a T&F's event at Singapore. 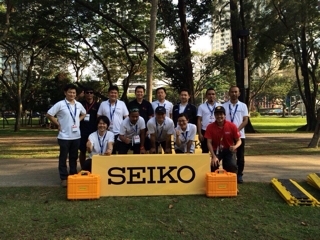 Boss and I were members of SEIKO ASIA TIMING TEAM. I am glad to make successful to support abroad. the International judges liked our software of judging athletes in race walk much than we expected. Shall we be ready for next competition! !